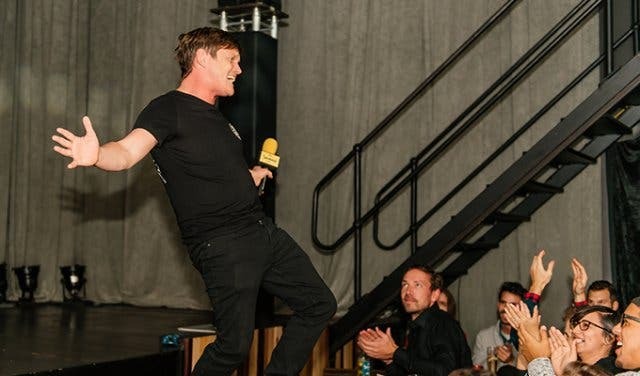 There’s nothing quite like laughter to brighten up a dreary day, and no one’s quite as gifted at stimulating infectious giggles and roaring guffaws than one of the Mother City’s many top-notch comedians. Of course, you have to know where to find these up-and-coming and established chuckle-starters before you can benefit from their quick wit and hysterical one-liners. 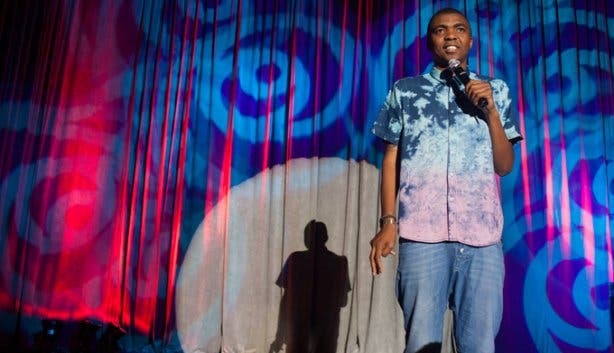 So, to help you along, what follows is a guide to several leading stand-up comedy clubs and venues hosting side-splitting shows in Cape Town. More specifically, we’ve sourced a spot for every night of the week to make sure you’re never short on your fix of funny. If you’re looking for the Mother City’s only dedicated comedy spot and undisputed home of SA stand-up, then pop ‘round to Cape Town Comedy Club. 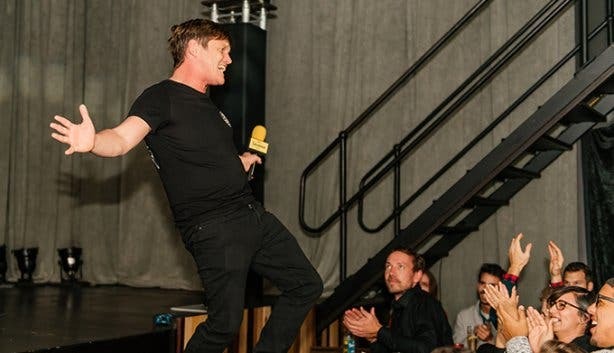 The brainchild of brilliant local funny man Kurt Schoonraad, this top-notch venue has been recognised as one of the top comedy clubs in the world. 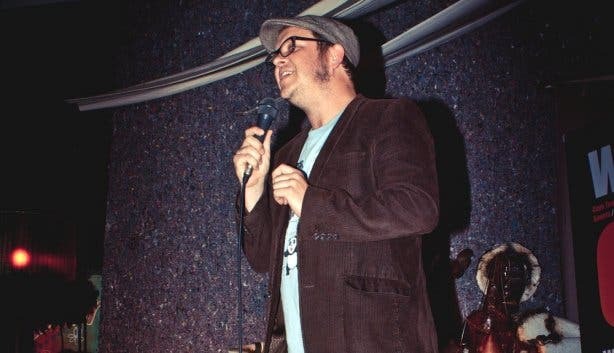 Tickling funny bones five nights a week (Wednesday to Sunday) at the V&A Waterfront’s steampunk-chic Pumphouse, the club puts on a laugh-out-loud line-up of five comics a night. The venue rotates its crowd-pulling headline act (think Marc Lottering and Rob van Vuuren) and emcee every week and nurtures newbie talent with up-and-comer acts and open-mic slots. There’s restaurant and bar service throughout the show – ‘Jou Ma Se Gatsby’ is a must-try – and R15 tequilas keep spirits sky-high. Tickets: Tickets cost between R95 and R120. Enjoy R60 tickets on their half-price Sunday special. Buy at the door, or get ahead of the queue via Computicket.com, as shows often sell out. Check out the week’s line-up at CapeTownComedyClub.com. When: Wednesday–Sunday, and seven days a week during the festive season. Doors open at 6pm, show starts at 8:30pm. 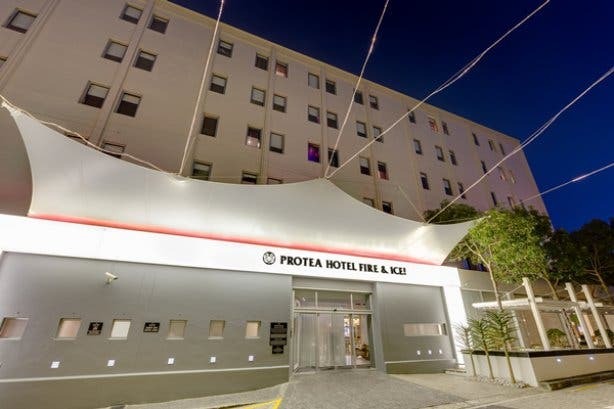 A live stand-up comedy showcase at the Protea Hotel Fire & Ice by Marriott? No, that’s not the punchline. In fact, there’s nothing funny about this cutting-edge venue that offers some of the biggest names in comedy. They take their comedy seriously, which is why their line-up regularly features stars like Sifiso Nene, Tumi Morake, Ndumiso Lindi, Stuart Taylor, Loyiso Goya and more. If you’re lucky, you can even get a two-for-the-price-of-one deal. With a central location, hip crowd and stylish interior good enough for hosting premier events, this monthly event should be a no-brainer. Just be sure to work in some time for one of their “naughty" milkshakes or delicious cocktails on the outside deck, or the joke will be on you. The mountain and city views are amazing! 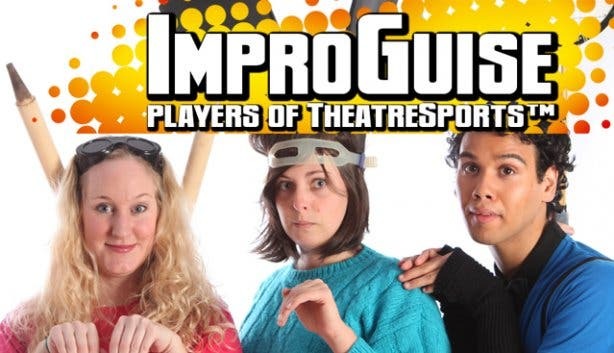 Though not quite your classic stand-up comedy, TheatreSports, a hysterical weekly improv show, is just as likely to tickle that funny bone. 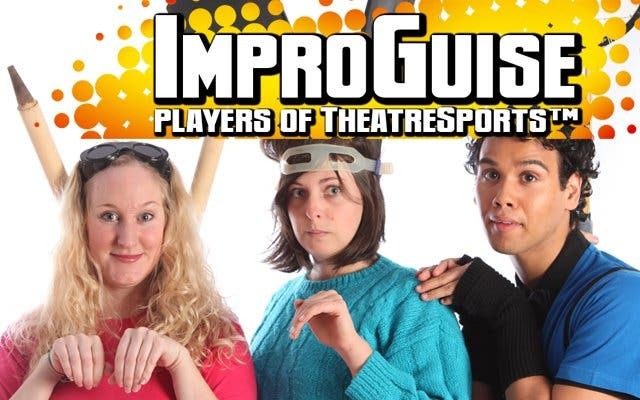 Running every Monday at 7:30pm at the Galloway Theatre at the Waterfront Theatre School, the wacky performance calls on audience members to suggest absurd scenarios that teams of quick-witted actors play out spontaneously on stage. Needless to say, it promises the kind of bizarre hilarity and amusement that comes with spur-of-the-moment comic brilliance. Tickets to the creative showcase cost R50 for students and R60 for adults and can be booked by calling +27 (0)72 939 3351 or bought at the door (if there are any still available). 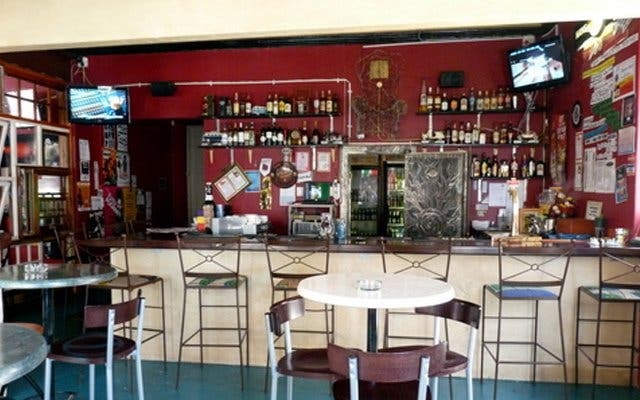 The very first comedy venue in Mitchells Plain, this lively sports bar pulls in a large, eager crowd of humour-hungry Capetonians twice a month on Tuesdays to watch some of the city’s finest comics fire forth side-splitting quips. 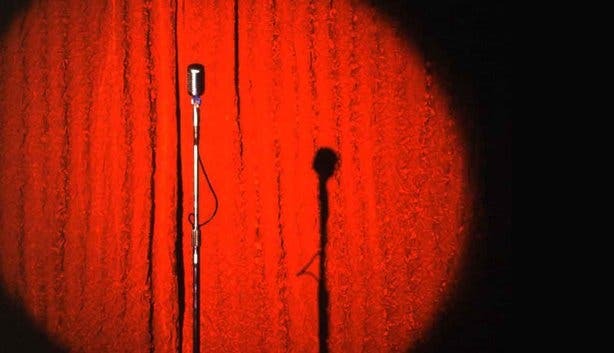 Four or five funnymen (or women) take their turn in the spotlight at every show, and the big guys (like Stuart Taylor, Riaad Moosa and Mitchells Plain’s own Kurt Schoonraad) are generally mixed with some of Cape Town’s greener entertainers to give lesser-knowns some stage time too. What’s more, the pub embraces an open-mic policy and anyone keen to give comedy a try is invited to touch base with organiser Kenwyn Davids. 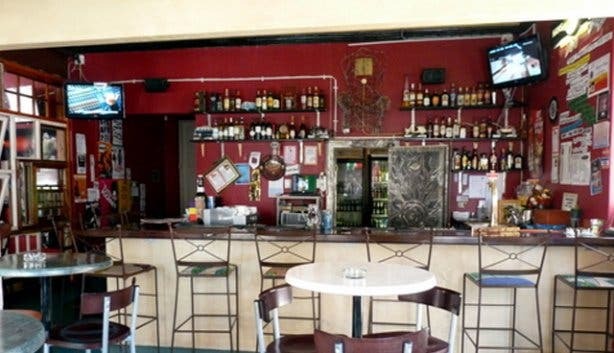 At the biweekly gig (it starts at 8:30pm sharp), the vibe is always upbeat, and the hungry and thirsty can fill up on tasty pub food (burgers and chicken wings and chips, for example) and a wide selection of tipples. Pre-sold tickets cost R50 (these can be bought at the venue or by contacting Kenwyn on +27 (0)72 399 3338) and entrance at the door rings in at R60; interested parties can stay on top of who’s performing when by visiting the Premium Comedy at Premium Sports Bar Facebook page or by following @kenwyn. 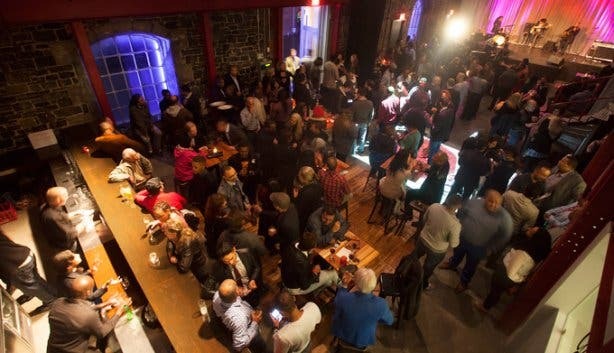 This bohemian theatre and pub – it sits in the heart of Observatory, one of Cape Town’s most soulful suburbs – is committed to bringing the weekend to a close on a knee-slapping note with its regular Sunday night stand-up comedy show. 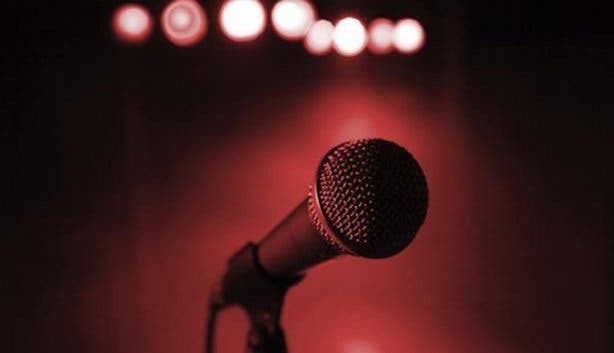 Kicking off at 8:30pm sharp, the laugh-provoking act, which is hosted every week by local writer and funnyman Christopher Steenkamp, showcases up to 10 comedians on one night, some of them more renowned – like KG, Paul Snodgrass and Martin Davis – and many others still starting out. Hence, this is a top spot to visit to catch SA’s as-yet-unknown future stars of the funny industry. Entrance to these chilled-out Sunday events costs a minimal R20 at the door. A medical doctors 2nd opinion on how to fight the war on drugs with Dr Scott Is Psychoactive. More into trivia than tummy-tickling humour? Have a gander at our overview of pub quiz nights in Cape Town. Read more about other Mother City comedy legends – think Cape Town-based comedian Dalin Oliver, the 'Prince of One-liners' Yaaseen Barnes and Cape Town-born performer and writer Marc Lottering – in our 10 Questions section. Also, don’t forget to follow us on Twitter, like us on Facebook, check out our Pinterest boards for updates. Not to mention, subscribe to our newsletter to keep up to date with what's hip and happening in our pretty city.